This home will surely steal your heart! Landscaped to perfection with age old trees, meandering walkways and a lovely garden. Beautiful carriage garage doors. Double door sun lit entry. New plush carpeting, paint and dual pane windows. Granite slab kitchen with rich cabinetry, stainless steel appliances and glass tile backsplash. Cozy family room with fireplace. Spacious master suite with sliding doors to backyard and walk-in closet. Beautifully updated bathrooms and indoor laundry room. Quiet court location. Detached workshop or hobby room. Walking distance to schools, parks and shopping. 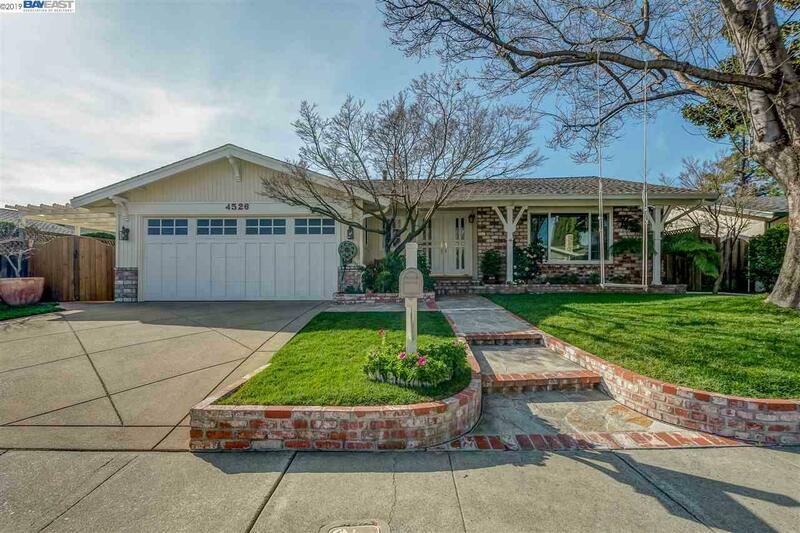 Minutes to historic downtown Pleasanton, wine country, highways and BART.